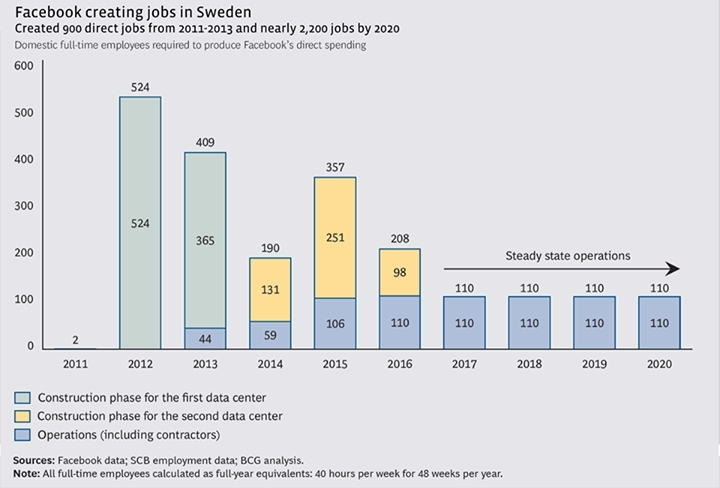 Facebook commissioned Boston Consulting Group to conduct a study of how its data center in Luleå, Sweden, is impacting the local economy, both in the region and in the country as a whole. 900 direct jobs were created in the country. 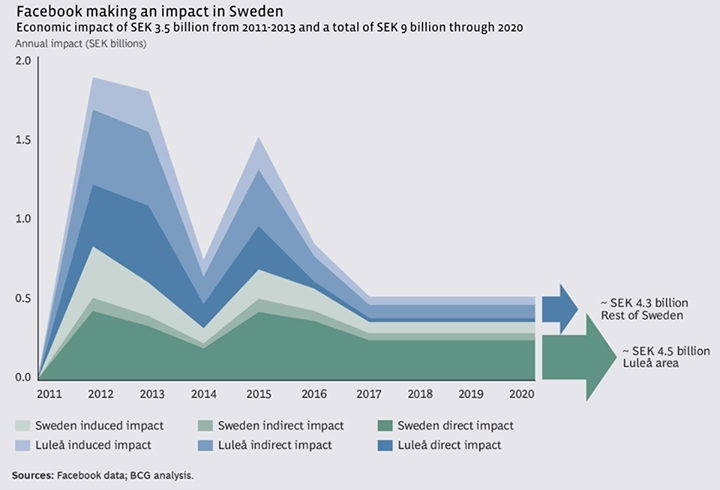 3.5 billion krona ($523.7 million) of economic impact resulted in Sweden. 316 million krona ($47.3 million) in operating spending. More than 90 percent of that spending will be in the Luleå region. Generate 9 billion krona ($1.35 billion) of economic impact in Sweden. Directly create almost 2,200 jobs, with two-third of them local, accounting for as much as 1.5 percent of the region’s total economy. Benefit a total of 4,500 full-time employees. Since we broke ground in 2011 on our first European data center in Luleå, we have been proud to contribute to the region’s growing prominence as a destination for technology companies. We chose Luleå as the home for our third data center for several reasons: reliable power from a renewable energy source, a cool climate that allow us to use outside air for cooling, and a strong pool of talent, including Luleå’s excellent University of Technology. We’re thrilled that those same factors are proving attractive to other companies. Luleå is part of Facebook’s crucial infrastructure that allows people to stay connected with friends and family, to discover what’s going on in the world, and to share and express what matters to them. 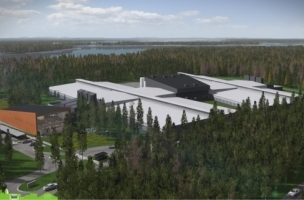 As we start construction of our second data center building, we are pleased to have had a positive impact on the Luleå economy and be part of the community’s long-term success.